Kathmandu, May 19 (IANS) Nepali photojournalist and mountaineer Purnima Shrestha scaled Mount Everest on Saturday, becoming the first photojournalist from the Himalayan country to stand atop, authorities said. This is the first ascent of 27-year-old Shrestha to the 8,848-metre high mountain. 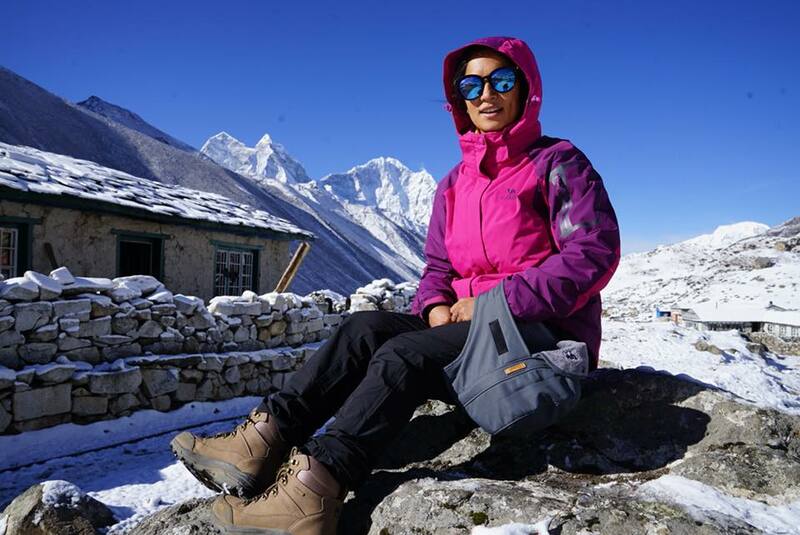 "Purnima Shrestha reached the summit on Saturday morning at 8.10 a.m.," Gyanendra Shrestha, an official at the Department of Tourism under the Ministry of Culture, Tourism and Civil Aviation, told Xinhua news agency from the base camp. Temba Tsheri Sherpa, a world record holder Everest climber and the head of Sherpa Khangri Outdoor, a company which handled Shrestha's expedition, said: "I feel very happy to share that she made it to the top along with other Chinese climbers in the team. The team will hopefully get back to base camp by Sunday." Shrestha, who hails from Nepal's Gorkha district, had left for the summit bid on Tuesday from the base camp. According to Sherpa, it usually takes four to five days for the climbing team to reach the top from the base camp via four different high camps. Shrestha, who has been doing photojournalism for last five years, is affiliated with Karobar national daily along with Food and Wine magazine. Besides the summit, she also organised a solo photo exhibition in the Everest region, the first of its kind, under the theme "Smiling Nepali Women", featuring portraits of Nepali women from all walks of life. "The major objective of the exhibition is to promote Nepali culture and tourism of the country. It will enable the world climbers and trekkers gathering in the region to know other aspects of Nepal", the photojournalist had said earlier. The exhibition was supported by Nepal Tourism Board, government's body to promote tourism and Photojournalists' Club of Nepal (PJ Club). According to Nepal's Tourism Department, the official government body which issues climbing permits for the Everest expedition, 346 mountaineers from Nepali and foreign teams have taken the permits this year. Nepali photojournalist and mountaineer Purnima Shrestha scaled Mount Everest on Saturday, becoming the first photojournalist from the Himalayan country to stand atop, authorities said.